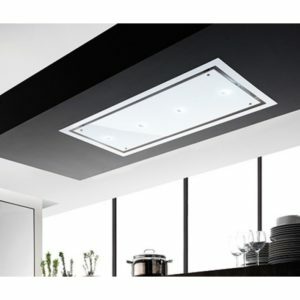 This high performance built in ceiling extractor from Smeg is 90cm wide, finished in stainless steel with black panels and has an extraction rate of 630m³ per hour. 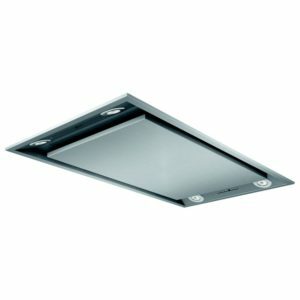 There are three aluminum filters which are covered by perimeter panels. 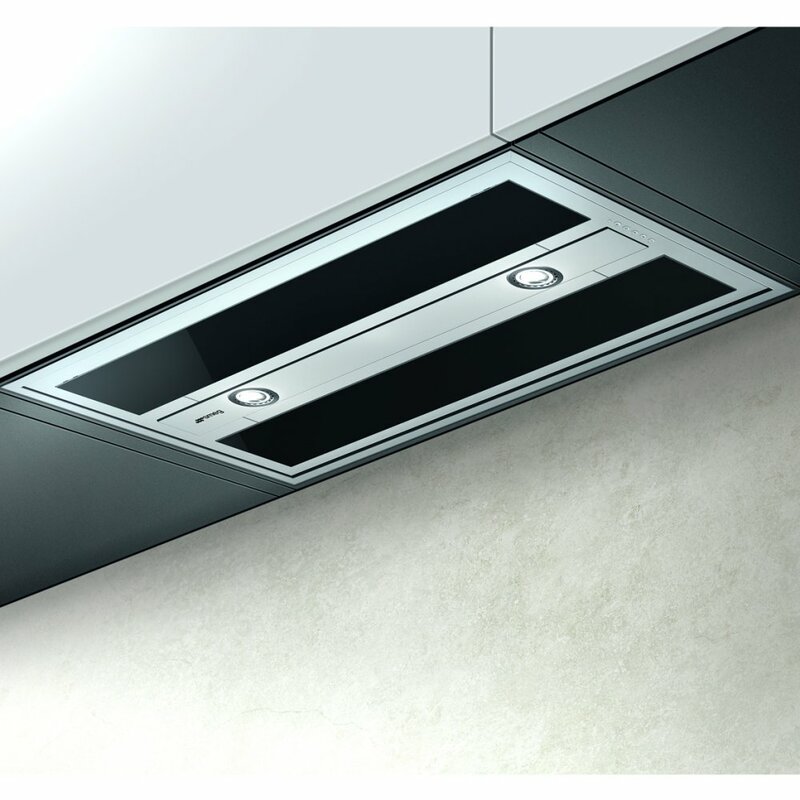 The extractor comes equipped with a remote control and there are three different speed settings to choose from as well as an intensive mode. An automatic switch-off option is also available. 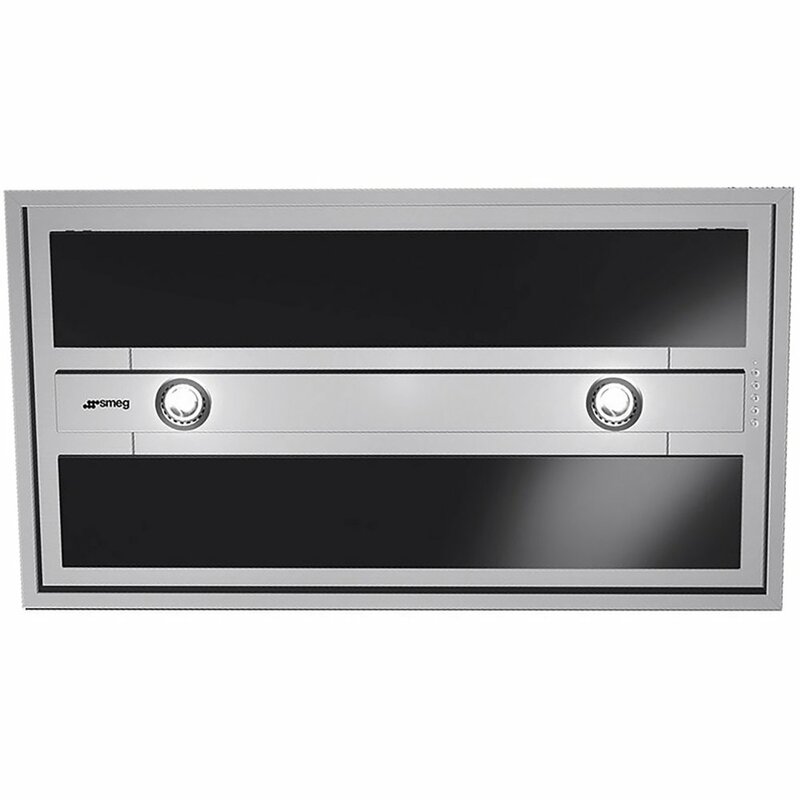 Two LED lights illuminate the cooking area and there is a useful dimmer function to ensure the lighting can be altered to your requirements. 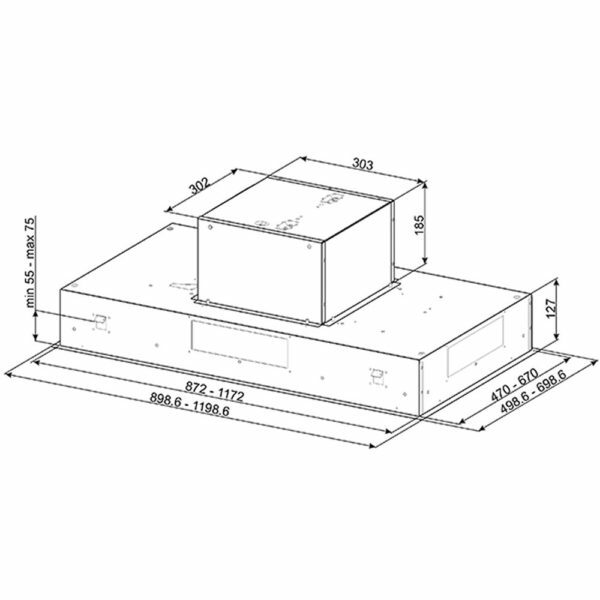 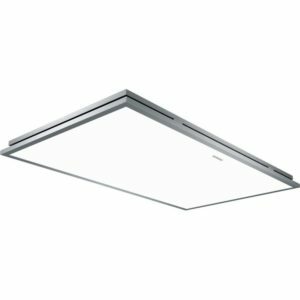 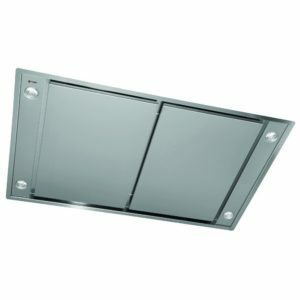 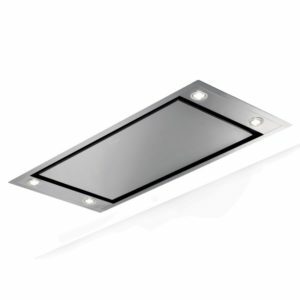 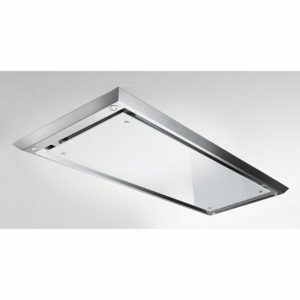 This Smeg ceiling extractor is suitable for recirculation or ducted extraction.